Recently I was invited to talk to the computer science students at John Monash Science School by their wonderful teacher and all round superstar, Dr Linda McIver. The students had been working on different ways to show climate change data, Linda told me. Could we talk about that? No, I’m serious! Please, tell me what you think about this scenario. A while ago I spoke at a small research meeting. I gave a 20 minute talk on my science. I engaged with my audience, answered general and specific questions, and hopefully came across as knowledgable and measured. I also arrived early on the day of the meeting as the organisers had mentioned they would like some support. I carried piles of papers to the meeting room, helped to fill up water jugs, and dispensed snacks. When the meeting was over, I helped clean up. None of the other meeting attendees did this. They’re all nice guys who work hard, respect their colleagues, and have all been in the team much longer than I. When the other members of the forum arrived, I was there setting up water glasses, looking like a meeting organiser rather than an invited meeting member. I wondered, as I handed out agendas: am I helping my career here, or being alarmingly unhelpful? Here I was thinking that providing an extra pair of hands is generally a good thing: it seems logical to me that helping out if needed is beneficial for your interpersonal relationships and career. But maybe that’s not true? Maybe it’s rude and condescending to help with a job that is someone else’s, or professionally a bad look to set up the chairs for a conference at which you will be speaking? The gender issue also crossed my mind. Assisting in unpaid activities overwhelmingly falls on the shoulders of female organisation members, particularly in academia. While I have not seen this so much in my career to date, I did wonder if the other (predominately senior, predominately male) meeting attendees thought less of me because I was doing some non-academic tasks. Would they have thought more of me if I arrived late, looking frazzled and important? I genuinely don’t know. But the experience left me feeling slightly uneasy, as though I had made a mistake. Do you help with jobs outside your core role? Have you found it helpful, or is being helpful sometimes, well, not? I’ve written before about my frustration/hatred of wind in daily life, but today I wanted to raise another complaint: using wind data in past climate research. Wind direction is easy and cheap to monitor. All you really need is a damp finger and a decent sense of which way is north. The strength of wind has also been observed for a long time, for its vital role in turning windmills and pushing ships. But the thing about local wind information, is that it’s just not great for climate research. The ease of watching the wind does not make up for that fact that it’s a pain in the arse to analyse when you are looking at long term changes in the climate. And wind is predicted to change. A warmer earth means stronger weather systems and a shift in global wind patterns. This will in turn affect ocean currents and sea ice coverage and lots of other important things. So, we need to know how the wind is changing. But historical wind records can be more like a drama queen than a reliable source of climate information: irrational and highly sensitive to the smallest changes. Wind observations have been taken for centuries, long before technical weather instruments like anemometers were used. Observing wind strength and direction was a vital part of any sailors’ duties, at land and sea. While direction could be recorded relatively accurately using a compass, converting what you see around you to a number is a subjective thing. Now these descriptions are poetic, but what if you aren’t near a chimney, or any small branches? Or, what if your wind strength scale had slightly different descriptions? Francis Beaufort was not the only guy trying to turn the chaotic experience of wind into a numerical scale. During my recent work with historical wind data in Europe, I came across the Beaufort scale, a French wind strength scale and a nine-point strength scale used in Turkey. These indices all use different definitions to approximate the strength of wind. Even worse, today, we use the speed of the wind to study it, so these values need to be converted to something approximating metres per second, or kilometres per hour, or knots, or cyclone scales, or tornado strengths. Do you see where I’m going with this? Combining all of these different methods of measuring how strong and/or fast the wind is it a tricky job. It also means that we are comparing data with say, 13 different levels (0–12 on the Beaufort scale), with data that have many more (an anemometer can measure at 0.05 m/s intervals). This is almost, but not quite, an apples and oranges scenario. Even once the Beaufort scale was replaced with good ole’ technology, wind data can still easily be rubbish, because they are extremely sensitive to the local environment. This is fine if you are recording the wind at an airport for safe landings, or to see if a wind tunnel has accidentally been made, but if you want to look at large wind patterns over a long period of time, you might be in trouble. The growth of a tree nearby, the erection (teehee) of a building across the road, or a small change in the location or height of the instrument can have a big impact on wind data. Temperature, rainfall and other weather variables can also be affected by these things, but wind observations are particularly fussy. An example of wind speed being affected by local changes. Image: World Meteorological Organisation, so you know it’s legit. I realise it sounds a lot like I’m saying observing wind is a waste of time. But things aren’t quite that bleak. Understanding local wind is really important for many things, like renewable energy, aviation safety and urban planning. And, to be fair, wind observations taken at sea are generally much better than on the land, due to the lack of trees, buildings and other terrestrial nonsense. Climate models are also pretty good at deriving large-scale winds from air pressure observations, so most long-term wind studies looking at climate change use models instead. Finally, there are methods of correcting the non-climate features in wind data, if you are careful and have good information about the weather stations (it’s been done in Canada for example, and the Iberian Pensinsula). But be careful next time you explore some old wind data. There’s a hidden drama queen in there, who might be telling you more about the neighbour’s pine trees than climate change. It’s been over four months since we said goodbye to the sunshine and summer of Catalonia and returned to the changeable grey of Melbourne. It’s incredible how fast things disappear into the past, and already our flat in Tortosa seems like years ago. We will always have a home in Catalonia, as it will always sit in my heart. At the same time, it’s nice to be back among the wide streets and wide accent under the big Australian sky. As H and I have plowed on with work and friend reconnecting and getting married (! ), it’s hard to find time to miss the big life things that we had in Spain. The freedom, the castles, the late nights and the history. It’s more the little things, the subtle ways that I have changed since we flew out of Tullamarine on the first day of summer in 2014. I now pronounce my Rs. You can’t help Catalans with their English if you speak with an Australian drawl (e.g. “ya English is geddin heaps bedda” helps no one), so I have learnt to deliveR my Rs. Almost all public bathrooms in Spain have sensor lights that automatically turn on when you walk in (more for economic reasons than environmental ones I think). This is surprisingly easy to get use to. After a few incidences of dancing in the dark trying to turn on a sensor light that didn’t exist, I now have to turn the light switch on when I go. I don’t like it. I have to pay $8 for a pot of beer now (rather that €1), and I don’t like that either. This has been easy to get used to actually, and 7pm no longer seems like an offensively early time for tea. However I do miss the relaxing feeling of knowing that the shops are open until late, and there is no rush for dinner. Last Friday night I ate a hamburger and unconsciously turned it upside down, to avoid stabbing the roof of my mouth with hard baguette crust. This life hack had become second nature after 20 months of eating jamon bocadillos! Not really necessary for a hipster-friendly brioche roll. On our first weekend back in Australia we went to a supermarket to get some vegetables. Apart from the heartbreak of seeing artichokes for $2.50 each (EACH! ), I felt an extreme sense of guilt about not weighing and bagging my own vegetables and obtaining a sticker for the check-out guy to scan. Standard practise in Europe, I had forgotten that we don’t do it like that here. It’s from the tap and it’s free at restaurants in Australia! I still find myself sculling all of the free water before we leave a table, just out of habit. In Tortosa we lived down the street from the town cathedral, which chimed every 15 minutes from 7am until midnight. It was sort of annoying at the time (particularly because the song on the hour went for about a minute) but now I really miss knowing the time without having to look at anything. Last month I was in the city (as a free range researcher is wont to do) and I heard a big noise. Did I jump, or hide in fear? No! I automatically assumed it was a parade of some sort, and found myself looking for the marching band which would show up on the streets of Tortosa for celebrations large or small. In the end it was actually just a trolley. There is a reason I don’t know the Spanish (or Catalan) words for ‘safety rail’, and there’s a reason why we loved visiting towers on our weekend. The freedom to clamber all over high, dangerous places is a wonderful treat that is hard to find in Oz. But that doesn’t mean we won’t keep looking. I now expect children to be at every event and venue we go to, be it a 10am brunch or 10pm concert, because that was standard practise in Spain. There are plenty of kidlets at cafes here, but I see far fewer out for dinner. Even after four months I have to stop myself from saying ‘Bon profit’ if I pass people eating their lunch outside. I’m still getting used to not giving ‘dos besos’ when saying hello. And I’m still missing the wonderful people we met on the banks of the Ebro. More scientific posts will come in 2017 but until then, Bon Nadal! Merry Christmas from these two other little Catalan fellows! Since returning to Australia in August, my working life has taken a comfy new shape. Don’t worry, I’m still rescuing data to improve our understanding of European weather and climate. But now I work from home, surrounded by magpies and hot pies, rather than mountains and the hot Mediterranean sun. As a remote researcher I am free to work wherever I like, keeping my own hours, and maintaining a level of dress sense that would embarrass most of you. But despite the freedom that working from home provides, I’ve found that the days tend to slip into a weekly cycle. This is good for my sanity, and for my tracksuit pants, that do need a wash every now and again. I dawdle out of bed at 8:30am, safe in the knowledge that it is still Sunday night in Europe and I have the whole day to prepare things for my colleagues’ Monday morning. Also, my commute is four seconds long. Trackies will remain on all day and productivity is high due to a lack of office distractions. At about 11:30am I remember the pot of tea I brewed at 10am, and realise why tea cosies are such a good idea. Talking to myself and singing along to the radio while working are standard behaviours on a Monday, as well as a little indulgence of daytime television. Time to brave the outside world and buy some food. Might even put a load of washing on, and do the dishes. Tracksuit pants remain the uniform until lunchtime, when I head to the market and run those mail-collecting, appointment-making errands that you can only do from 9am to 5pm. This takes up most of the afternoon, meaning I am working frantically when 6pm comes around, ready to chat to colleagues who have just started their day. Emails are the last thing I see before I go to bed. Emails are the first thing I see when I get up. For all the freedom of being a roving researcher, the time difference does make it hard to switch off from work. To combat that, I have lunch with a friend and her newborn, again relishing the things that you just can’t do if you work in an office. Plus it gets me out of the house. Cut to 7pm and I am attempting to work, bring in clothes and prepare dinner at the same time. So much for no distractions. After three days of being home-based, it’s time to go rogue. My home Internet is struggling to upload the data I need to send to Europe, and my tracksuit pants are starting to smell. Off to the city for me! I start in a café, feeling like one of those stylish people who work on their laptop in a café. I listen to some St Germain while I code and drink too much tea and try in vain to get the free wifi to upload 5GB of data. I leave, hepped up on tea and busting for the loo, and hole up in a university library instead. Here the toilets are free and (if you’re lucky) the eduroam Internet works. I might even organise a work meeting with a local collaborator, to remind myself of the wide and wonderful world of research in which I am still living. How fun to have an outing! After yesterday’s exhausting outing. I’m ready to bring in the weekend with another productive day at home. Might even stay in my PJs for a while and start working early, before my brain wakes up enough to procrastinate. While working from home means that you can really do it at anytime, I try to keep my weekends for living. I attempt to draw a line under what I have done for the week, and set things up to start well the following Monday. In reality, this means making a long list of things I haven’t quite finished, waiting for me and my pot of tea on Monday morning. This, so far, has been my experience of working remotely. Is it how you work from home? How do you stay motivated when working by yourself? 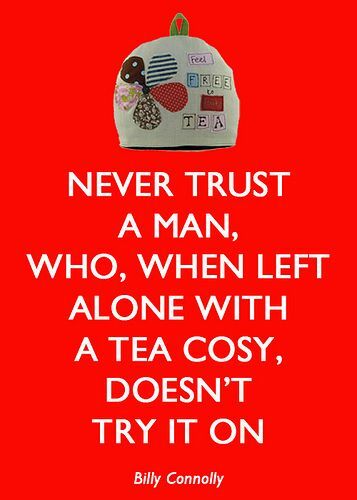 How does one make a good tea cosy? Please, let me know! Have you been invited to a friend’s Saturday BBQ in Catalonia, and want to bring that most iconic of Australian desserts, the pavlova? Pavlova, an Aussie BBQ favourite. Image:taste.com.au. A couple of weeks ago I was lucky enough to receive a ERASMUS+ Mobility Grant to visit one of the pillars of climate science, The University of East Anglia’s Climatic Research Unit. A couple of weeks ago I was lucky enough to attend the European Geosciences Union conference in Vienna, affectionately and efficiently known as EGU. Over 13,000 scientists from across the world get together for a week to discuss the centre of the earth, far flung space and everything, literally everything, located in between. Seeing so many researchers together, in so much comfortable footwear and with such a wide array of backpacks, is a special experience indeed. This was my second EGU, but my first as a grown-up scientist rather than a student. The first time was completely overwhelming, and I left thinking that mass meetings were not my scientific bag. But this year was very different. I got some useful feedback on my work, met heaps of new people in my field, connected with some people I’d been longing to collaborate with, and re-connected with great old colleagues and friends. I am a bit more experienced now it’s true, and know a few more names and faces. This year I was also fortunate to give a talk , and give it at the start of the week, meaning that a) my presentation was out of the way early and b) the few people who did see my talk had more time to catch me and ask questions.